Time is starting to run out on addressing some of the key issues facing the legislature in Montpelier. The fate of many key bills will be decided in the next few weeks. 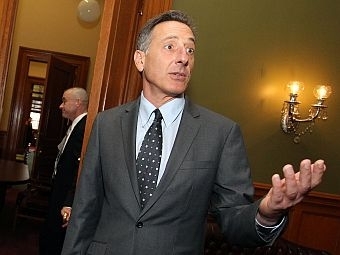 Governor Peter Shumlin is our guest and he provides his take on the budget, the prospects for his health care bill, why he wants to tax health care providers instead of cigarettes and the various steps the state could take if it loses its lawsuit with Vermont Yankee. Governor Peter Shumlin says he’s putting together a plan to ease property tax burdens in communities that have suffered enormous damage from Tropical Storm Irene. It’s about to get more expensive to buy cigarettes in Vermont. The tax on a pack of cigarettes will increase 38 cents beginning this Friday, July 1st. The increase is part of a package of tax increases designed to bring in $24 million in additional revenue to state coffers.